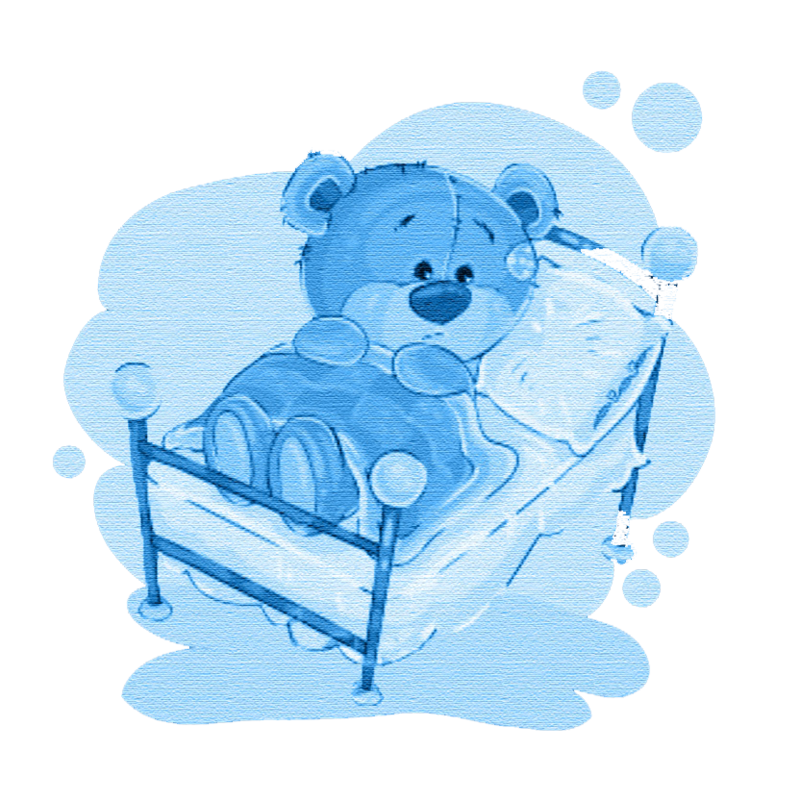 Bear Givers facilitates programs and events in which children in hospitals are given teddy bears by Bear Givers representatives. These uplifting visits benefit both the givers and the recipients of the teddy bears in a heartwarming, positive experience. The sick children and their parents, who may be coping with the potential loneliness, isolation and anxiety caused by illness, are cheered and comforted and provided with a needed respite and welcome distraction. 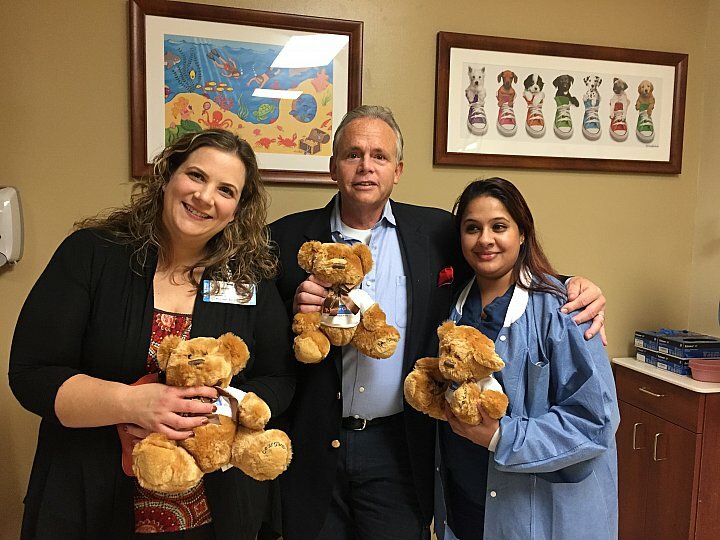 Bear Givers visits hospitals and pediatric facilities worldwide and often invites celebrities and special guests to interact with the young patients, and help with the distribution of the bears. Many hospitals and Student Nurse Associations use the Teddy Bears at a special clinic where children are encouraged to perform mock hospital procedures on their furry friends, using medical equipment and supplies. This enables them to become more familiar with the sometimes scary and overwhelming happenings in a hospital. As a result they are less fearful and more relaxed as they undergo similar procedures. Depending on the facility, the Teddy Bear Clinics can be an annual educational event for the local community, or a weekly event for their inpatients. Bear Givers Hospital Visits and Teddy Bear Clinics are ideal volunteer and fundraising activities for youth oriented groups, clubs, and organizations. Promote your group’s cause and engage in team building with Bear Givers. The two-pronged program entails both fundraising and a Hospital Visit or Teddy Bear Clinic. Your group can fundraise to support Bear Givers by calling on local businesses and holding bake sales or car washes. Bear Givers will provide tee shirts with our logo and your organization’s logo to wear during fundraising activities. Once your organization reaches your fundraising goals, a Bear Givers representative will help you arrange and accompany your group on the Hospital Visit or Teddy Bear Clinic. Bear Givers will provide teddy bears wearing tee shirts customized with your group’s logo to give out during the Hospital Visit or Teddy Bear Clinic. • Easy to organize fundraising/volunteer activity. • Excellent opportunity to promote your group or club’s cause. • Your organization will be profiled on beargivers.org. • A link to your organization will appear on beargivers.org. Please contact us to suggest an organization that needs some Bear Givers cheer!